If Silver ate a bagel and Livi was about to kill him, what would Silver do? Valor: rejoindre my army and defend Queen Livi her majesty has put me Valor the fallen in charge of this army WHO WILL rejoindre THIS ARMY? Livi: (looks around) were am i? Livi: soleanna? (in head) y does this place sound so familiar? Boy: salut theres this rose renard and blue cat in the warehouse! Shadow: (looks around the corner of a rock 2 find the source of a melody he's been following) (he sees livi) Livi? wat is she doing here? that melldoy! its coming from her! Shadow: (quickly runs behind the rock) dang im such an ididot! Livi: (gets up) whos there? 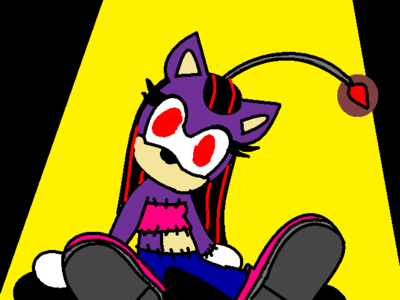 Shadow Doll : *looks around* *talks in kid voice* I wonder where my original iz. And just wat did he mean wen he a dit the dark force iz back 2 destroy him? Wat force? Who? Shadow Doll : Wat? AHHHHHHHHHHHHHHHH!!!!!!!! rayon, ray : SHADOW!!! SOMEONE KIDNAPPED METAL!!!!!! ??? : *Wakes up* huh? Kaylin? *Bumps head* OW! Kaylin : ! oh no....I forgot 2 tell u something....I think were in my parents HOUSE! Hazel : *Playing in the backyard* *sees shooting star* ? Hazel : Strange. *Takes them home* momma! momma! Zek : *Comes out* mom's not accueil but dad's here. WHAO. *whistles* I call the green hair. Hazel : -_-' shut up idiot and help me take them into my lit room. marguerite, daisy : PUT ME DOWN!!! marguerite, daisy : *Flings off* AAAAAAAAAAAAAAAAAHHHHHHHHHHHHHHHHHHHHHHHHHHHHHHHHHHHHHHHHHHHHHHHHHHHHHHHHHHHHHHHHHHHHHHHHHHHHHHHHHHHHHHHHHHHH!!!!!!!!!!!!!!!!!!!!!!!!!!!!!!!!!!!! Vanilla : --And after I looked in her room she wasn't there. And her window was broken. Cop #1 : sounds like a kidnapping. Cop #2 : *Picks up walkie talkie* yea we got an immediate amber alert. soumettre that 2 the news crew. I suddenly saw outta the corner of my i three Friends of mine. Shadow, Sonic, Livi, I thought. i smiled "Alright toi all came just in time!" i yelled. I was glad but also worried about my friends. I hoped that they wouldn't get hurt as we turned back to back with each other, I was mad. Mad because i knew the sent of clones because thease are the came creations that killed my family. I wanted revenge, not peace tonight. I tossed my sword away. " if im going down im going down with style" I muttered. I rushed off without another word. i hoped that Livi would think i was going to get the cape on because I had the cape in my hand. i felt my fangs growing in my mouth. I saw a yellow figure and skidded to a halt, "Hi-" I realized the Figure was not Tails but a clone. "heh. Time to eat!" I a dit and without hesitation i leaped on the clone and bit down on its neck. I really didn't like the Tate of clone blood. It was better than nothing i believe so i bit down harder and saw the blood splatter on the ground. DO WHATEVA toi WANT RP!